CPTV5: URGENT: DANIEL SAFU CONFIRME QUE SOKI SHADARY ALEKI PRÉSIDENT LE 23 DÉCEMBRE YE AKO SE SUICIDER. MAKAMBU EZALI MINENE, TOLANDA!!! 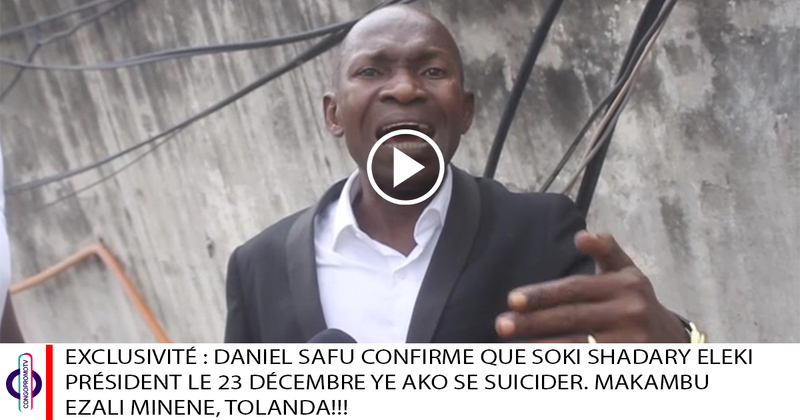 URGENT: DANIEL SAFU CONFIRME QUE SOKI SHADARY ALEKI PRÉSIDENT LE 23 DÉCEMBRE YE AKO SE SUICIDER. MAKAMBU EZALI MINENE, TOLANDA!! !